There are loads of applications for Ninjaflex and other flexible filaments which require holding a liquid. 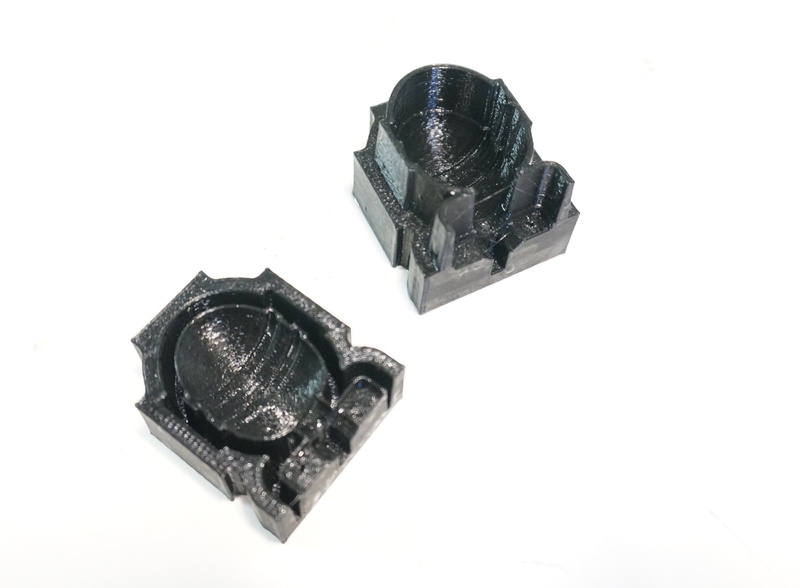 So let’s talk a little bit about some of those applications and how to get your 3D printer to achieve a water-tight print. Generally, the two categories are containers and molds. Containers are essentially bowls. Molds are way more complicated. We’ll start with containers. Your basic ice cube tray is a container. Gravity holds the water in place. As long as your floor and walls are water-tight, then you are good to go making ice, jello, popsicles, candy, etc. But how do you make the walls water-tight? Ninjaflex is pretty conducive to fully-dense parts, but your extrusion settings need to be really dialed in. It is possible to do this with a single trace width (0.4mm typically), but the settings will have to be absolutely perfect. Two layers is fine, and use three if you don’t trust your extruder and/or settings. 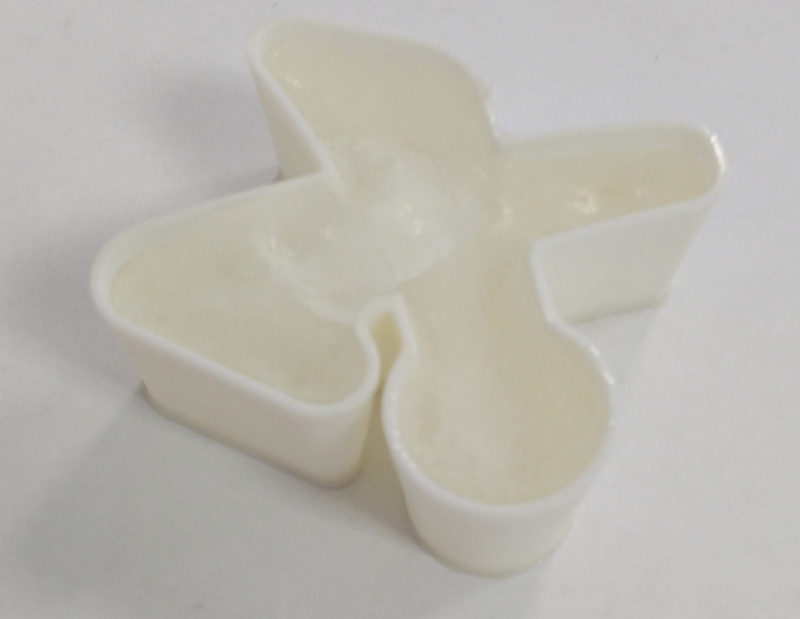 Narrower walls will allow more flexible parts which will release the ice cube more easily. 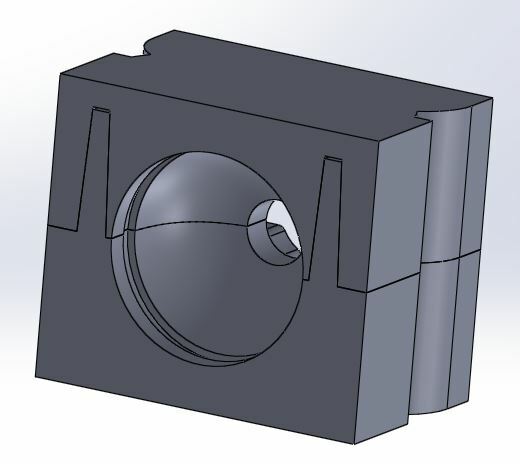 With the Flexion Extruder you can run a double-wall part at full speed and expect a perfect seal. The tail fins tore off when I separated the two halves – mold release is an issue for another time. Maybe try cooking spray? This was just the first iteration – in the future I would keep my feature sizes larger when molding Jello (ice is definitely more durable.) I’d also make the tongue a little oversize relative to the groove to get a better seal without clamping. Of course when iterating a design it helps to be able to print fast – so get a Flexion Extruder and make your life easier! 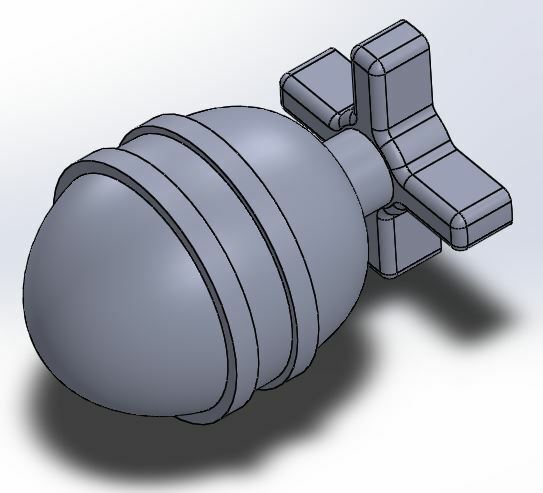 The model files can be found over on Thingiverse. I guess there are is another category as well – manifolds? Think sprinkler toys or a faucet diverter. A faucet diverter that allows me to fill up tall water bottles in my bathroom sink would be pretty handy. Maybe I’ll work on that next. There are so many uses for flexible filaments! Note: Ninjaflex is not food safe. You should never consume products molded in Ninjaflex. ExcelFil TECH Flex by Voltivo appears to be food safe, but do your own research. Thank you for the write up! I’m glad that you saw my comment and were able to respond. Sealing the flexible prints doesn’t seem too bad, and that’s awesome. The double or triple wall should be simple enough to do, but I’ll definitely sticking with using three walls to be safe until I get your extruder! Maybe then I could try to get my settings precise enough to just have one wall without having to worry about my extruder giving out on me. 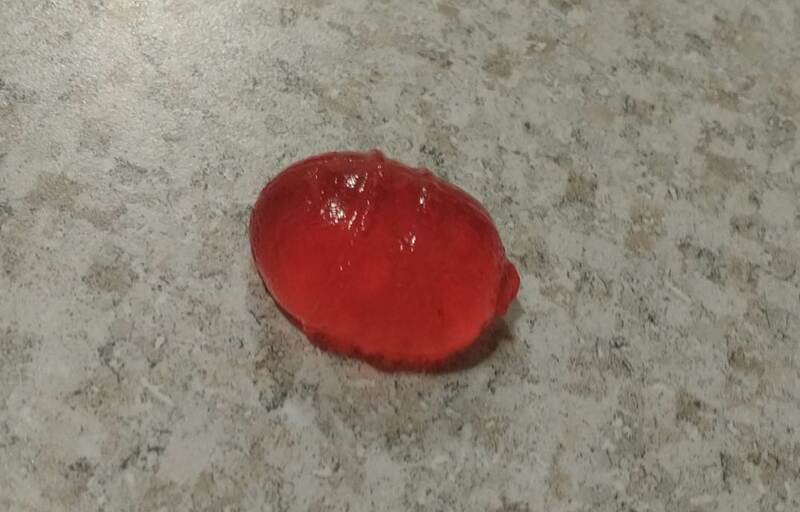 I’m not too worried about the risks of eating things that have been in contact with the mold, though I’m curious, did you eat your jello shot?